Install the Inbox apps on your phone to start receiving push notifications. Ensure you keep the app up-to-date for the best experience. When will I get notifications on my phone? 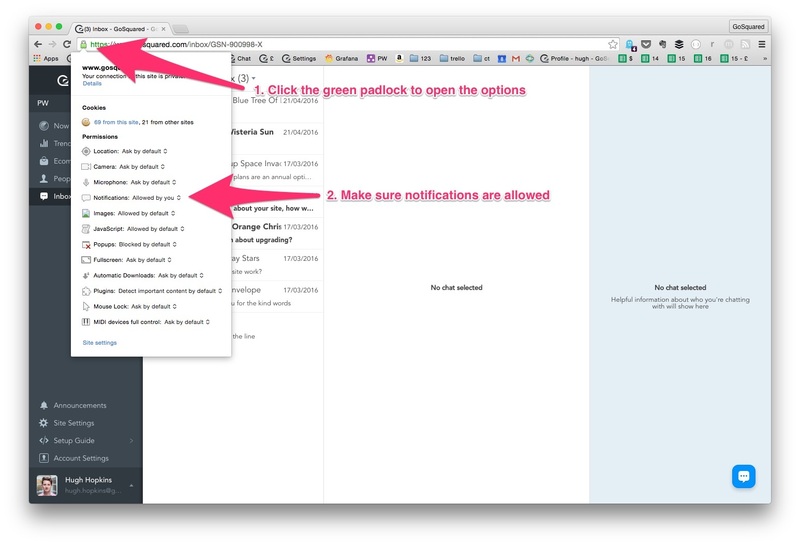 If you and your team all have Inbox closed on your desktop – mobile notifications will be instant. We don't want to spam your phone with unnecessary notifications. Therefore if you, or somebody on your team is actively using GoSquared Inbox on a desktop, we'll give them/you a 50 second window to respond before sending a notification to everybody's phone. However if everybody on your team is idle on the desktop for 30 seconds (ie has inbox open on desktop but isn't interacting with it) we'll switch mobile notifications back to being instant. Use our Slack integration to send unread messages into Slack – full integration guide. Choose how long a message needs to be left unread for before being sent (choose 0 seconds for instant notifications). Choose which Slack channel/s to send notifications to. You can also set up multiple conditions, i.e. a first line #support channel might have an unread time of 10 seconds to encourage quick responses. Whereas you could also send notifications to the #general channel if a message has remained unread for 5 minutes so that the rest of team can jump in and help out during busy periods. The first time that you use the Inbox from your browser, you will see a banner drop down asking if you want to enable Chrome/Safari/Edge desktop notifications. Just turn them on and your browser will notify you when you get a new message. Note: You must be logged into the GoSquared site to receive notifications – it can be in a background window/tab or minimized, but you must have GoSquared open somewhere! 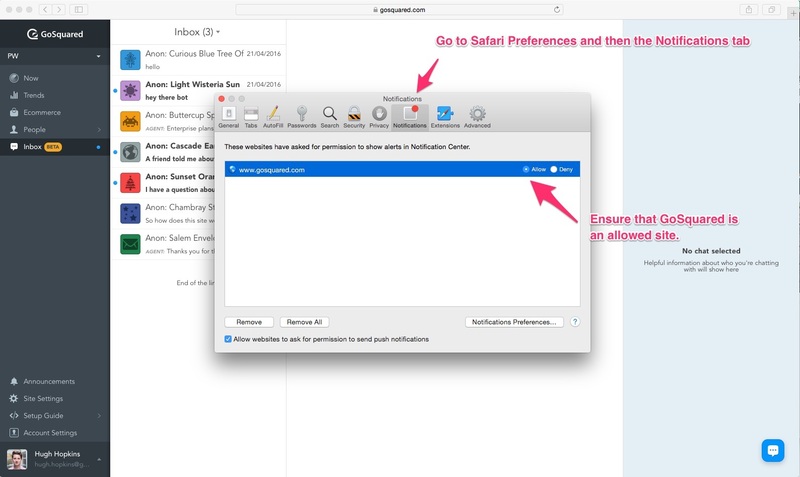 Receive native desktop notifications on your Mac by installing the GoSquared Inbox app (experimental) – learn more.